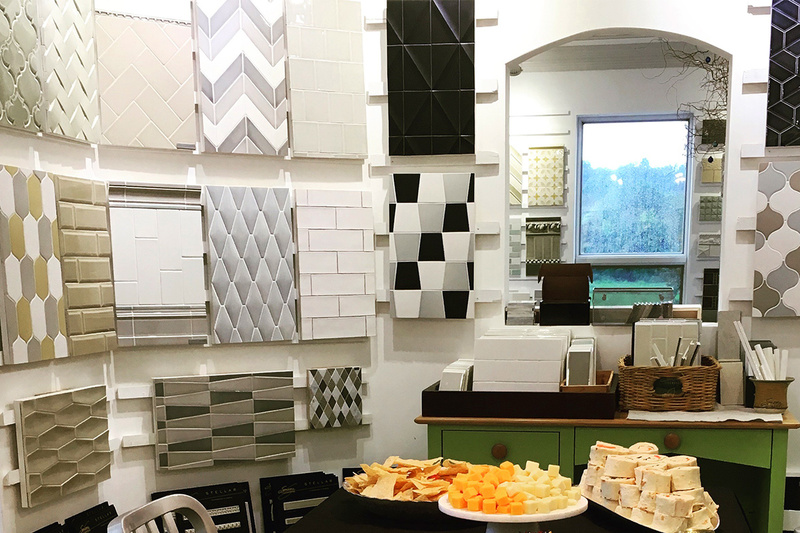 Here’s the scoop on our Evening of Designing for Your Home at Tileology in Lancaster. We’d love to see you at future events…use our contact form to sign up for emails so you don’t miss out! Many thanks to our Guest Speakers! 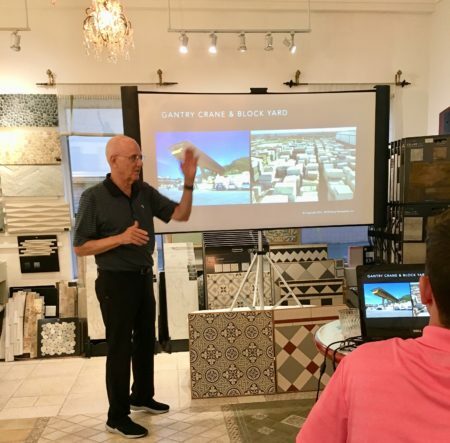 Bob Agran, Stone Partnership, held a lively discussion on the trends in stone tile. He shared his extensive knowledge on stones from Italy, as well as many types of Limestone, Bardiglio, Jerusalem Stone, and Travertines. From their formation to your project realized, Bob’s conversation was in-depth and spirited! 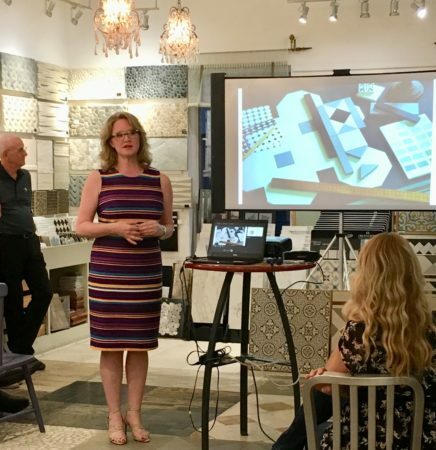 Jennifer Hunsicker of Original Styles, lead the discussion on Victorian floor tiles as well as hand crafted English ceramic tiles. The intricacies of their glazing, firing, and applications were fascinating and beautiful. Truly “artisan” work! 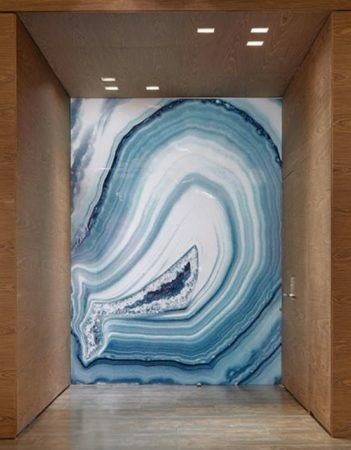 Cindy Pickering of Tileology, shared on the dramatic, painted, acrylic waterproof wall panels of Alex Turco.